After years of falsely marketing and selling clean diesel vehicles, Volkswagen (VW) has admitted to using defeat device software to cheat on federal and state emissions tests. More than 11 million vehicles worldwide had the software, about 500,000 of the impacted vehicles are in the U.S.
Consumers who purchased the vehicles have been deceived and potentially defrauded as they purchased more expensive vehicles believing they were environmentally friendly. If you or someone you know purchased one of the affected vehicles, you may be entitled to file a Volkswagen emissions lawsuit. The class action lawyers at Goldberg Weisman Cairo believe in holding auto manufacturers responsible for their actions can help you obtain the justice you deserve. VW has said it plans to begin recalls on all affected vehicles in January 2016. The following vehicles with a 2.0L TDI Clean Diesel engine are expected to be recalled in the U.S.
An additional 85,000 3-liter V-6 diesel vehicles dating back to 2009 are also affected. VW has discontinued sales of the affected models and does not intend to release its 2016 diesel models into the market. The Environmental Protection Agency (EPA) and California regulators first warned of issues with testing results and road tests in May 2014 following studies contest by the West Virginia University. VW told the EPA that the discrepancies were the result of technical issues or unexpected conditions. The company issued a voluntary recall in 2014. More than one year later, the EPA filed a notice of violation to Volkswagen about the defeat device software. Shortly thereafter, the company admitted it had cheated emissions tests. The defeat device software turned on during emissions tests and then turned off during regular driving conditions. During regular driving conditions, the vehicles were emitting 40 times more than the legal limit of nitrogen oxide. Nitrogen oxide contributes to the production of smog and the ozone lawyer. Furthermore, it can lead to health problems such as asthma attacks respiratory disease, cardiovascular issues and even premature death. According to an Associated Press analysis, the pollution caused anywhere between 16 and 94 deaths over seven years. Volkswagen has set aside billions to cover costs related to the recalls and repairs. The federal government could fine the auto manufacturer upwards of $37,500 per recalled vehicle. More than two dozen plaintiffs lawsuits have been filed across the county. 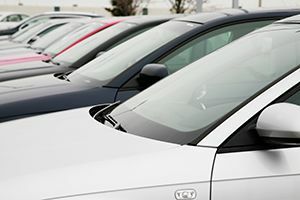 The company is being accused of defrauding consumers who are suffering declining vehicle values as well as breach of warranty and breach of contract. If you believe that you may be eligible to file or join a Volkswagen class action lawsuit, contact Goldberg Weisman Cairo. We can help you determine your legal options and if you may be entitled to compensation. Call 1-312-464-1234 or fill out a Free Case Evaluation. Settlement – A Chicago neighborhood was exposed to toxic smoke from the ACME Barrel facility.